Are you looking for OG0-093 foundation and 642-973 help? Download our 650-367 and jn0-101 pdf to pass your comptia 220-702 in a hassle free way. Is there a relationship between the Earth's Fundamental Resonant Frequency (Schumann Resonance) of approximately seven and half beats per second (7.5 Hertz), the natural phenomenon of lightning and a simple and inexpensive device that creates enough electricity to power an average home? Nikola Tesla's experimentations in Colorado Springs, Colorado during the late 1800s assisted him in making important findings and conclusions about the waves of electromagnetic energies flowing through the Earth. Tesla did not reveal exact details of his findings but his discoveries were the foundation for constructing a large tower structure at Wardenclyffe near Shoreham, New York in 1908. 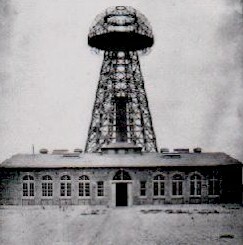 Tesla proclaimed that he could provide free electrical energy for the entire world with his tower that featured large disks at the apex of structure. There is a legend that J.P. Morgan, who financed the construction of the tower, was not informed of Tesla's intentions until the structure was almost completed. Upon hearing Tesla's declaration, Morgan ordered an immediate demolition of the tower to protect the financial interests of him and his associates who were heavily invested into alternating current electricity that Tesla had discovered and developed in the 1890's. Numerous unexplained and intense explosions with Hiroshima-like mushroom clouds occurred before, during and after World War II. Eyewitnesses to a massive atomic bomb-like explosion on July 17, 1944 at Port Chicago in San Francisco Bay reported a brilliant white flash and a mushroom cloud that caused a crater 66 feet deep, 300 feet wide and 700 feet long -- a phenomenon that cannot occur with one or countless conventional bombs and torpedoes exploding simultaneously. Port Chicago was a loading and transfer dock for bombs and ammunition and would provide the perfect cover for testing a small version of a buckling electromagnetic weapon by blaming the incident on the African Americans who loaded the ships but suffered radiation like sicknesses after the explosion. Could the Manhattan Project and the airplane delivered plutonium based atomic bombs dropped on Japan during World War II have been 60 year-old ruses and cover stories to the general public and the airmen who unknowingly released dummy metal cans for the real cause of the nuclear explosions -- a sophisticated form of Tesla's buckling electromagnetic fields that manipulate the Earth's Resonant Frequency? Was Tesla the first to manipulate or control the Earth's Resonant Frequency? Probably not. In the 1950's, Immanuel Velikovsky logically deduced that the planet Venus was a Moon ejected from Jupiter or Saturn that was blasted away approximately 10,000 years ago. As the wayward Moon traversed through the solar system, the water and air of Mars were pulled into the dry atmosphere of Venus. Then a planet between Mars and Jupiter disintegrated into an asteroid belt and massive geographical changes occurred on Earth. Did all of these planetary cataclysms occur because the wayward Moon radically interfered with the Fundamental Resonant Frequencies and related harmonics of Mars, Earth and another planet? But were the geographical changes on the Earth controlled or dampened by the presence of the Great Pyramid in Egypt and a second massive structure built at another crucial and functional longitude and latitude intersection point on the Earth? Geologists know that the exact longitude and latitude point of the Great Pyramid is a pivot point for all continents on the Earth. Did two pyramid structures at critical longitude and latitude intersection points of the Earth function like gimbals to stabilize the Earth's Resonant Frequency and related harmonic frequencies? Have other numerous pyramids stabilized the Earth over the ages? The longitude and latitude intersection points of the two pyramids (or one pyramid, Giza Pyramid, and one dome or obelisk) to balance the Earth while the solar system was imbalanced by the ejected Moon were determined by significant geological occurrences already taking place on the Earth and most likely the trajectory path of the wayward Moon. The specific geological occurrences of the Earth and the precise location of the Great Pyramid provide a map to an exact point on Earth that is a very logical location for a second set of Pyramids. If there are large pyramids, domes or obelisks at this specific longitude and latitude intersection point, the lifework and theories of Velikovsky will be additionally proven and our entire concept of history, science and consciousness would be altered and elevated. There is good news and bad news about the suspect second location. The good news is that to investigate the second location neither satellites, hiking boots nor jeeps would be needed but the research team will cruise to the location via water. The bad news is the ground level of the second location is at a significant depth underwater and definitely a submarine and possibly a support surface ship would be required. Not only have Tesla and a wayward Moon manipulated the Earth's Resonant Frequency but nature influences the fundamental 7.5 Hertz frequency and the related harmonic frequencies every second. The author and other researchers postulate that every degree of surface and atmospheric temperature either raises or lowers the amplitude of the Earth's fundamental and harmonic resonant frequencies by at least 100 percent. Therefore, when cold air with low amplitude resonant frequencies comes in contact with hot air with high amplitude resonant frequencies, intense spirals are created. For example, a five pound rock and 20 pound rock dropped into opposite ends of a pool of water having an equal depth create two waves. When the smaller wave created by the five pound rock intersects with the large wave created by the 20 pound rock, a trough of intense movement, or spirals, is created at the intersection point. The spirals in the atmosphere that are intensified by the negative charged particles on the surface of the Earth and the positive charged particles in the Ionosphere can last a nanosecond or several minutes, hours or days. The author logically proposes the nanosecond spirals excite the atmospheric nitrogen, and hydrogen/helium ions flowing from the Sun that actually saturate the Earth. The ignition causes the nitrogen and hydrogen/helium ions to go into high energy, also known as lightning. Long-term spirals are tornadoes and hurricanes. Could graphics with "opposing" shapes, and frequencies with "opposing" amplitudes contained in a cylinder with domes, duplicate what happens in nature? Could the domed cylinder be the key to an inexpensive yet effective energy device with long-term health benefits? Instead of the energy going into a discharge, spark or lightning state, perhaps the energy could be captured by capacitors and batteries as electricity. There have been countless anecdotal stories of individuals who have been physically near but not directly struck by lightning. Ailments of individuals such as cancer, diabetes, and heart/lung congestion, that existed prior to nearby lightning strikes were instantly and permanently removed after the lightning strikes. Persons with no illnesses who have been near a lightning strike experience long-term high energy levels. Regretfully these reports must remain anecdotal because double blind studies on humans using real weather lightning will most likely not take place. 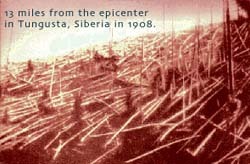 Perhaps the alleged instant health improvements and long-term high energy states are not caused by the high voltage current of the lightning itself, but instead by the trough of intense spirals caused by the low and high temperatures that create extreme amplitudes in the Earth's Resonant Frequency. Not only are the 7.8 Resonant Frequency and the amplitudes of the 7.8 Resonant Frequency important, but the phases of the 7.8 Resonant Frequency and related harmonic frequencies are just as critical (Figure 1). Determining the phases of Earth's Resonant Frequency was provided by the walls of the Great Pyramid that are slightly indented. Researchers Bill Schul and Ed Pettit conducted very important experiments using lasers and front sided mirrors on scaled and exact duplicate models of the Great Pyramid with flat walls and indented walls. The laser beam of the flat walled pyramid had no purpose or direction but the laser ray reflected in a pyramid with the walls indented beamed directly into the King's Chamber. By using a computer software program called Auto-Cad the author determined the exact formula that was used to indent the walls of the Great Pyramid so that the structure functions as a prism that concentrates and organizes tachyons and light particles in chemical elements. The formula can also be applied to geometrical structures comprised of three to 288 sides or walls so those geometric patterns also function as prisms. Another significant experiment was to apply the proprietary formula to harmonics or electromagnetic frequencies. By using the computer program called Cool Edit Pro, also known as Adobe Audition, a three dimensional structure with any number of "walls" can be "created" in time and space by precise frequencies that have the specific phases and amplitudes. The placement or sequence of the phases and amplitudes determines if the light particles move in a right- or left-hand spin. Experiments by traditional scientists prove that all biological life forms function best in a left-hand spin. What would have Nikola Tesla accomplished had he utilized computer programs such as Auto-Cad and Adobe Audition giving him precise control over phases and amplitudes? The author created graphics with various sizes and frequencies with specific phases that have low and high amplitudes that create individual and an overall spiral matrix that constantly "buckles" the movement of light particles. After much experimentation the author discovered the most intense spirals were created by three- and four-sided indented figures. Any figure with more than four sides does not produce the maximum and intense results that are detected or indicated by smell, taste, stretch and pain relief tests. The new graphics with 120 different shades of colors are used to treat Tri-Vortex Technology products. In the past, only six to eight shades of colors were used to treat items to assist in the absorption of liquids and solids and provide fast pain relief. The use of multicolored three- and four-sided graphics was inspired by researchers who pounded the chemical elements of Copper, Silver and Gold for 24 hours with a blunt object. After 24 hours of intense pounding, Copper turned a light green color, Silver turned a light blue color and Gold turned a purple color. The emerging colors were not caused by oxidation because six hours after the pounding ceased the metals returned to their normal colors and Gold will not combine with any chemical element including Oxygen. This experiment indicates each chemical element has light particles with an individual shade of color. By using various sizes of graphics with as many shades of colors possible, individuals exposed to the multicolored left turn spirals will properly align any chemical element in their bodies or introduced to their bodies. A combination of multicolored indented triangles and squares produces the maximum results as distinguished from just a separate indented triangle or square. Based upon these discoveries and the pyramid research of Dean and Mary Hardy, many of us have logically deduced that the Great Pyramid is an indented three-sided pyramid which is nested inside a four-sided indented pyramid. The King's Chamber and Queen's Chamber were not royal burial rooms but functioned as cutting edge, thriving and teaching laboratories for alchemical projects thousands of years before dead Pharaohs were entombed in the chambers. Lab One (King's Chamber) is the focal point of the light particles of the indented four sided pyramid and Lab Two (Queen's Chamber) is the focal point of the indented three- sided pyramid (Figure 2). If Gold were alchemically created in Lab One then the easiest manner of shifting and transporting the bulky items out of the Great Pyramid would have been sliding the bars down the numerous angled wooden planks anciently and presently located adjacent to Lab One. By extensive analysis and testing, the author concludes there is a chemical element befor Hydrogen that has nine walls or phases. This chemical element has been named Clevebacksterum (Cb). Hydrogen has 18 walls or phases. Carbon has 144 walls or phases. The resonant frequencies of the chemical elements are in the range of 2,000 and 5,000 Hertz known as background noise. However, all of these multiple harmonics of the chemical elements are held together by the frequency with precise phases and amplitudes vibrating at the Schumann Resonance of approximately 7.5 Hertz. The division and multiples of 18 as applied to the chemical elements, Cb, and the importance of water hydration are detailed in articles published at www.trivortex.com. Readers may be asking at this point how the applications of graphics can be demonstrated. Three-sided graphics that have been embedded into four-sided graphics have been posted at www.trivortex.com/tests.htm. To conduct such an experiment, place a glass of a tart liquid, such as wine or grape juice, at one to three inches from the graphics on your computer screen for 30 to 60 seconds. The reader will easily recognize the obvious and improved alteration in the smell, taste, wetness and quality of the liquid. Solid foods can also be tested in the same manner. These Smell and Taste Tests are not jokes or hoaxes. The Smell and Taste Tests are based upon logical and scientific research and methods with tangible and real results. When completing the tests, remember that the same positive results can be achieved by pulsing Adobe Audition computer program frequencies with Tri-Vortex phases and amplitudes through two wires, (yes only two wires, not speakers) connected to the audio out plugs of a laptop computer. Any experimenter who follows the instructions posted on the website is invited to reply with their results to contribute to our data base. The graphics on the website dramatically improve the smell and taste by stimulating the molecules with buckling vortex fields. Can similar graphics or more intense electromagnetic frequencies that buckle light particles be used to create electricity in a cylinder with domes? Are there any other readers who are attempting to build free energy devices by graphics, harmonics and buckling electromagnetic fields that duplicate atmospheric lighting that is created by the rhythms of nature? Did the ancient Pharaohs and upper class Egyptians know how to manipulate and harness the Schumann Resonance to improve their health and extend their life spans? Statuary scattered throughout ancient Egyptian ruins feature the statues holding Egyptian rods in both hands, often with their left foot forward. Investigators such as Dr. Valery Uvarov of Russia have discovered that the hollow rod held in the left hand is made of the chemical element named Zinc and the hollow rod held in the right hand is made of Copper. Various substances such as quartz crystals and charcoal powder can be placed in each rod. The heavy and dense chemical element of Zinc is adjacent to the light and airy chemical element of Copper in the table of the chemical elements. This author hypothesizes that Zinc creates low amplitudes in the Schumann Resonance and Copper creates high amplitudes in the Schumann Resonance. As the individual grasps the rods in their palms, the high and low amplitudes of the Earth's Resonant Frequency create a trough of spirals at the intersection point located in the center of the body of the person holding the rods. The spirals balance and rejuvenate the molecules of all chemical elements of the person holding the rods, thereby experiencing high energy levels and extended life spans. In 1931, Tesla fitted a luxury Pierce-Arrow with an 1,800 rpm AC electric motor, and successfully test-drove the sedan at speeds up to 70 mph. Tesla supposedly powered the motor with two rods that were inserted yet could be easily removed by hand from the engine. Were Tesla's electricity generating rods a smaller scale version of his Wardenclyffe Tower disks yet far more potent of an electrical source than the Egyptian rods? Tesla’s rods most likely manipulated the Earth's Resonant Frequency to create electricity. What Is the Source of the Earth's Resonant Frequency? The traditional scientific community postulates that the Schumann Resonance is created in the area or "cavity" between the surface of the Earth and the Ionosphere. But how can a constant and steady rhythm or an electromagnetic wave of approximately 7.5 beats per second be logically created and maintained in a cavity that is under constant stress by lightning, tornadoes and hurricanes? A logical source for a constant and steady rhythm is a black hole on one side of this dimension and a white hole on the opposite side of that same dimension. Multiple fundamental and harmonic tones or electromagnetic pulses in or near the black/white hole of a galaxy probably scatter molecules and matter in spiral patterns. The color black is a combination of all colors and no individual color can be visually observed. Likewise, a black/white hole at the center of a galaxy is a combination of fundamental and harmonic frequencies and no individual frequency can be detected. But what if a black/white hole were to have only single fundamental dominant frequency with related harmonic frequencies? Would the black/white hole with one dominant frequency and the proper phases and amplitudes attract and hold matter together in the space/time vacuum of the cosmos? Might a galaxy actually be composed of one multi-toned center black/white hole with countless single-tone black/white holes orbiting around the multi-toned center black/white hole in spiral patterns? Might our planet actually be a fundamental single-tone black/white hole? Does our planet's black/white hole vibrate at approximately 7.5 Hertz with 144 phases and amplitudes? When toilets flush in Moscow and Sydney, are the clockwise and counterclockwise water spirals due to the different sequences of the phases and amplitudes (grids) of the fundamental 7.5 frequency and harmonically related frequencies in the northern and southern hemispheres of Earth? Does Earth's Resonant Frequency with specific phases and amplitudes attract, organize and embed molecules of the chemical elements that vibrate between 2,000 and 5,000 Hertz? Is the relationship of the Schumann Resonance at approximately 7.5 Hertz to the resonant frequencies of the chemical elements that vibrate between 2,000 and 5,000 Hertz the force of or related to the force of gravity on our planet? Does the Sun of our solar system maintain a highly volatile and explosive state by having a fundamental resonant frequency and related harmonic frequencies with only nine phases and amplitudes in each hemisphere? The phases and amplitudes of a hemisphere on a planet can be configured in numerous but finite patterns. Does the northern hemisphere of Neptune rotate in the opposite direction of the southern hemisphere because the phases and amplitudes of Neptune's Resonant Frequency are not in sequence and are in a completely opposite configuration from Earth's harmonic grid? The frequency of an electromagnetic wave is not precise and slightly fluctuates whether generated by a black/white hole or a computer program such as Adobe Audition. Therefore, the Schumann Resonance can slightly shift above and below the 7.5 Hertz average. Most scientists detect the Schumann Resonance to be 7.83 but the slight increase above the 7.5 black/white hole is due to lightning, tornados and hurricanes stressing the area between the Earth's surface and the Ionosphere. However, even though the frequency range varies slightly, the phases of the frequencies in a black/white hole, a chemical element or an electromagnetic wave generated by Adobe Audition will remain precise and exact. The amplitude of a frequency in a chemical element can be altered by temperature and pressure. By squeezing, cooking or freezing the chemical element of Silicon, the amplitudes of the fundamental resonant frequencies and the related harmonic frequencies of the molecules in the Silicon will be radically altered. The amplitude change caused by temperature and pressure fluctuations will manifest by the Silicon shattering, melting or becoming brittle. Low and high pressure weather conditions, desert storms and snow blizzards probably alter the amplitude of Earth's slightly shifting Fundamental Resonant Frequency and related harmonic frequencies. Desert storms and snow blizzards will not change the exact and precise phases of the Earth's Fundamental Resonant Frequency or related harmonic frequencies. Probably the only force that alters the phases of Earth's Fundamental Resonant Frequency and related harmonic frequencies are stressful positions of the Sun, Moon and planets or an orb ejected from Jupiter or Saturn. Alterations or stresses on the phases of the Schumann Resonance by lunar and planetary influences probably are at least a precipitator to, or at the most a cause for, tectonic plates to slip or shift causing earthquakes. Two traditionally trained Indian scientists publicly and accurately predicted the time, date, longitude/latitude and magnitude of the devastating Indonesian earthquake and tsunami four days before the deadly event occurred. They constructed their prediction by observing the position of the Sun and Moon at the precise times and dates of previous earthquakes greater than a 7.5 magnitude. This author hypothesizes the phases of the Schumann Resonance were stressed or altered by the Moon (5 degrees Cancer) being in direct opposition to the Sun (5 degrees Capricorn) on December 26, 2004. On March 27, 1964, the Sun was at 7 degrees Aries and the Moon was at 7 degrees Libra and a massive earthquake shook Alaska. During both the Indonesian and Alaskan earthquakes the Sun was exactly 180 degrees opposite of the Moon on a circle while both the Sun and Moon were in what is known as Cardinal signs. In other words, if you draw a straight line through the middle of the Earth, the Sun was on one side of the globe and the Moon was exactly on the opposite side of our planet. However this straight line of opposition does not flow directly through two sides of the equator or both poles of the Earth. By astute observation and comparison of the angles of the critical Sun/ Moon opposition line as related to the equator and the poles of the Earth, the Indian scientists precisely located the area where and the time when the phases of the Schumann Resonance would be weakened enough to allow tectonic plates to shift. However, the Indian scientists had no awareness of phases for the Schumann Resonance in their research but their earthquake prognostications by observing and calculating the angles of the Sun/Moon opposition through the Earth are astounding. Many people feel they deserve global accolades for their efforts, discoveries and sterling accomplishments. The prediction by the Indian scientists was about 28 minutes off in predicting when the earthquake would occur. They were correct in calculating the exact time of the opposition of the Sun and Moon but they did not realize the stress caused by these positions would take about 30 minutes to build on and alter the phases of the Schumann Resonance that caused or contributed to the tectonic plates to slip at an exact location on Earth's harmonic grid. By creating a dynamic and evolving harmonic grid model of the Earth's phases of the Fundamental Resonant Frequency in conjunction with the transiting positions of the Sun, Moon and planets in the solar system, could predicting earthquakes transition into an exact and precise science? There is one drawback, however. Scientists can measure the frequency of the Schumann Resonance but they cannot accurately determine the phases or amplitudes with any kind of present day instruments. Until instruments are created that can measure at least the phases, humans will have to observe mathematical or three-dimensional hypothetical models of the phases of Earth's Fundamental Resonant Frequency. When those instruments are operational, this author predicts the scientists will discover 144 phases in each hemisphere of Earth and Mars, 36 to 72 phases in each hemisphere of Jupiter, Saturn, Uranus and Neptune, and nine to 18 phases in each hemisphere of the Sun. By way of contrast, however, this author predicts the planets Mercury, Venus, Pluto and all the moons orbiting the planets in the solar system will have one spherical harmonic grid (not two hemispheres) with 72 or 96 phases. Why does nature use a division and multiples of 18? A hemisphere of a planet or a molecule is not constructed in numerical sequence because to do so would create a weak structure. Maximum strength of a dome or molecule is attained when the links are spread out over the hemisphere or molecule. The most efficient manner of creating strong links in a dome or molecule is to use the number 18 because the special number of seven provides a means of distributing the links. Figure 4 [left] has a circle with 18 lines with 20 degrees between each line. A line is drawn from the starting point to a point seven lines or 140 degrees away. As the multiple seven lines or 140 degree sequence is continued around the circle, the line drawn from the 18th or last point connects with the starting point. The alpha (beginning) and omega (end) points of an 18 point circle or a multiple of an 18 point circle using a multiple seven sequence are the same (Figure 5). When applied to harmonics, the points on the circle represent the phase of the frequency and the circle itself represents the amplitude of the frequency. Obviously, a planet or molecule utilizes more than just one amplitude but for consistency in construction, again, the number seven provides the most strength. Seven circles of 144 lines with a space of 2.5 degrees between each line have the same alpha and omega point when using the multiple seven sequences. Again the seven circles represent seven redundant amplitudes that a planet like Earth uses to construct a harmonic grid. A line is drawn for the starting point to the next circle and seven lines or every 17.5 degrees (7x2.5 degrees). Figure 6 does not include all 144 lines but only depicts every seventh line where the working line crosses the intersection point of the circle and the structure line. The line from the 144th point to the next point is the starting point and the alpha and omega points are the same and provide strength yet flexibility (Figure 7). On the Earth the distance between the circles is thousands of miles. When instruments are made that can detect the phases of the Schumann Resonance, the author predicts the grid pattern will be similar to a three dimensional version of Figure 7 that is top view of the grid. Where the starting or Alpha point is located and if the lines or amplitudes are to the left or the right of the Alpha point, are the two determining factors to the spin orientation of the hemisphere. Therefore planets with two hemispheric harmonic grids can have numerous kinds of spin orientations that manifest in countless characteristics and functions. However, the number of spin orientations for the planets are finite. Is the harmonic spin orientation of Uranus so unique that Uranus is the only planet that shifts the north and south poles directly towards the Sun during the full revolution around the Sun? We invite readers to join the author and other researchers to observe nature and the cosmos. The discussions will be related to how other common occurrences or phenomenon are results of manipulating or harnessing Earth's Fundamental Resonant Frequency of 7.5 Hertz with 144 phases and amplitudes and the various resonant frequencies, phases and amplitudes of the chemical elements, planets and suns in our galaxy. The author acknowledges and thanks Susan Kelly, Bruce Rawles, Iona Miller, Peter Vogel and James Golik for their valuable input and contributions to this article. Special thanks to Sue Golik. Note: Tri-Vortex Technology (www.trivortex.com) and Rods of Ra (www.rodsofra.com) are currently developing advanced versions of Egyptian rods that will be available for purchase in the spring of 2005.